TAKE PART IN THE RESEARCH OF FEEDINGHABITS, FAMILYTIES, PROBLEMS AND CONFLICTS IN A SCANDINAVIAN WOLFPACK. Dutch couple studies the swedish wolves and works for acceptation of large predators in Scandinavia. We are Rick and Esther, two dutch enthousiasts, who tried to realise their desire for adventure and nature. Both do we have a livelong fascination for wilderness and nature as it should be. After exciting travels to Canada, USA, Scandinavia and the Middle East and volunteerwork in Poland as asistants to a wolfbiologist and the USA in a facility with socialised wolves, foxes and coyotes, our ideas and plans came more clear. We decided to be more involved in what we really want in life, namely to help the more and more vanishing wildernessareas and wildlife in the world to survive. A symbol of nature, wilderness and freedom and mistics is per definition the wolf. Ecosystems with wolves present are relatively intact. There is on the other hand almost no other animal that creates such extreme reactions in people, be it very positive or the opposite…. We got involved in this species. We worked as volunteers in a facility with socialised wolves in the USA and worked shortly as assistants to a wolfbiologist in Poland. We travelled often i wolfareas in different places in Europe and Amerika. Because of many factors, not in the least the positive attitude of the swedish government regarding wolves, we decided to move to Sweden. We live now with our two Saarlooswolfdogs in a traditional swedish "Torpstuga" in the territory of the Ed/Halden pack, called after the two small towns where the wolves reside. A large part of the territory lies on a mountain plateau called the Kynnefjäll where our house is situated. The wolves have a short new history in Scandinavia and the about 150 that live here are all descendents from a small inbreeded pack that after the arrival of a wolfimmigrant from Finland in the seventies led to a small populationexplosion. This makes clear that the present population is very vulnerable: all of them are related! The wolves are greatly monitored by a governemental institution named Grimsö, that tracks and records packs movements and conflicts that occur. Conflicts happen when hunting- and farminginterests collide with that of wolves. We help to provide Grimsö with data such as recent tracks, droppings and sightings as well as preycarcasses etc. by means of structural long walks in the territory of the Ed/Halden pack. Our data will be sent directly to the Grimsö researchcenter. Data that help understand wolvbehaviour, preychoice and movements through the area and that can lead to prevention of conflicts between man and wolf. You can do this too! We organise small groups of people crossing the area and collect the information above. You will be walking as part of such a group or alone, whatever preferred, untill about 15 kilometers a day in a fascinating landscape with lots of wildlife combined with areas of complete silence. 7 Sleepovers in our "Gästhus"
It is unlikely you will meet a wolf in the wild. It is however not impossible that a wild wolf notices you doing your walks! In our garden we saw beaver, badger, fox, rodeer, moose, lynx(! ), snakes, lizards, raven, owls and a lot of other birds last year. On the Kynnefjäll fly brown eagle and roam lynxes and wolves. 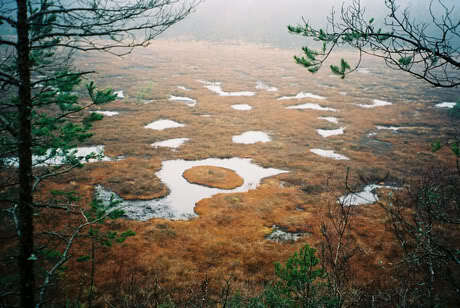 Allthough there are about 2400 brown bears in Sweden you will probably not meat with them here. They live more to the north, though drifters can cross the area…. We are not a professional organisation, but just people that do what they like most and want to share this. There will be a lot of improvising and we ask everybodys cooperation to make the most of it! 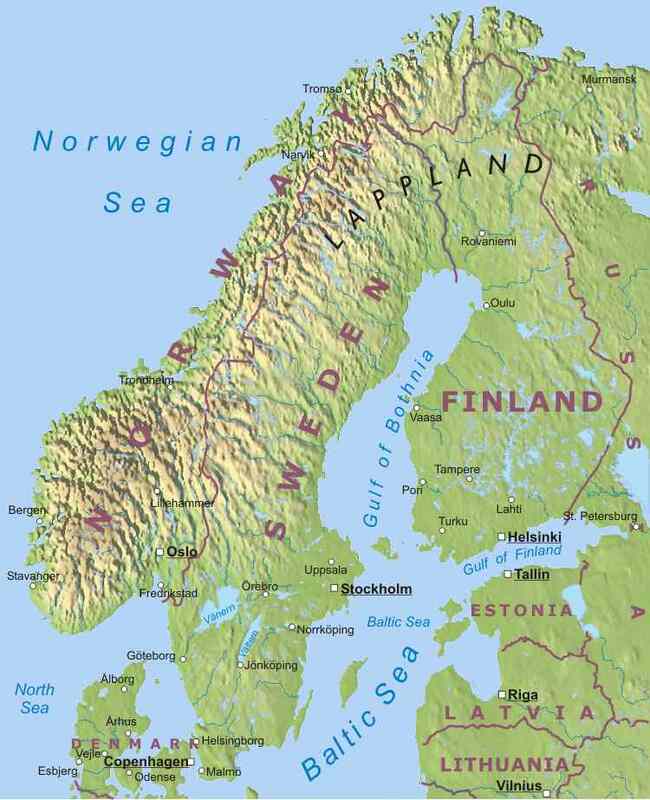 First of all Sweden is a very low populated country covered with enormous forested areas. This situation is profitable to a number of different original species, which all of them find a suitable habitat and a natural balance given the chance. The wolf was virtually extinct in Scandinavia in the late nineteenth century because of continuous exterminationcampaigns stimulated by high bounties from the authorities. Mainly conflicts with livestock caused this. A viable population has been absent in decades. Only as late as the latter part of the twentieth century the public image concerning wolves changed, implemented by more knowledge through research especially in the USA. The wolf became a protected species in Sweden in 1966. In the beginning of the seventies few sightings and tracks of wolves occured in the Värmland province in the middle of the country close to the the norwegian border. It was possible that more than one wolf was present because unconfirmed reports of different wolftracks where made in this area until 1981. The latest scientific data reveils that at this point a new disperser from Finland arrived and the start of a real comeback of the species was a fact. 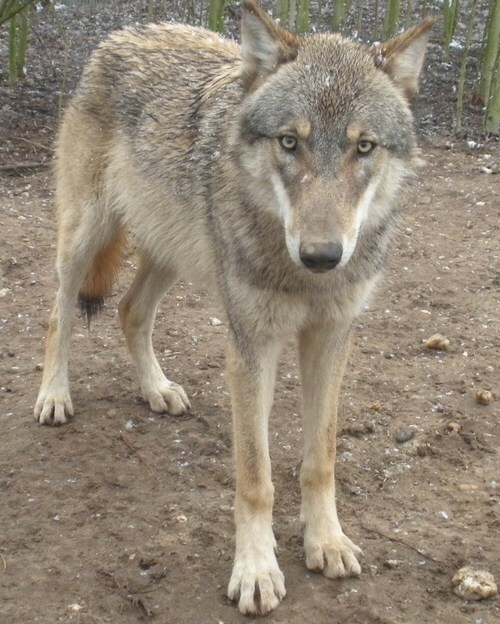 Recent genetic research has indicated that the wolves present in Värmland in the first decade after 1971 must have been closely related and therefor produced little viable offspring. This situation changed dramatically when an unrelated wolf emerged. The offspring of the next generations where more viable and fertile and a real populationburst compared to the previous years occurred. Right now, in the end of the winter 2012 the metapopulation in Scandinavia counts some 250 individuals all descending from this small pack in Värmland in the early eighties. Soon new yearly offspring will be born (april) which will bring the population to about approximately 300 animals. Unfortunately are all wolves very closely related which indicates the vulnerability of the population. Inbreedingdeficiencies occur. 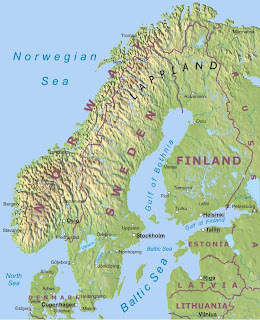 These inbreedingproblems are not likely to dissappear because of the isolated location of the scandinavian peninsula and the fact that the northern half of the area is used for reindeerfarming. Wolves are not allowed to settle in this enormous region. This way relatively unrelated wolves that try to enter Sweden from the finnish/russian population find it hard to come through...: they will be shot at sight. Though some very few succeed! Wolves can be found today especially in the area just south of the reindeerfarmingbelt with territorymarking packs from Dalarna in the north, to the line Gothenburg-Stockholm in the south. Wolves are slowly dispersing southward. It goes without saying that a colonisation like this can oppose some conflicts in the areas concerned. Through regular inquiries public concern is evaluated. Allthough these evaluations show a majority of the humanpopulation in favour of the comeback of wolves some conflicts might occur. Feelings go very deep and especially rural people feel they are neglected and bullied around by cityfolk who make the decisions. Especially juvenile and lone wolves tend to hunt upon the easiest available prey which sometimes happen to be livestock that isn't properly protected. The number of livestock killed by wolves has trippled from 2001-2002 from 58 till about 170. Most of these are sheep, but in some cases horses and cattle have been attacked. It is obvious that these numbers have an impact on public opinion not in the least on that of farmers and rural areas in general. Some people in rural areas, not associated with hunters and farmers, do have an instinctive fear of predators be it or not reasonable. They fear for their children waiting unattended at busstops early in the morning to go to school. It does not help either that, especially in winter when tracks are clear, it seems that wolves tend to roam about very close to buildings and even through villages looking for food. The Swedes are known for their love of the outdoorlife, which comes clear when we focus on the enormous possibilities for sports like skiing, hiking, skating, mountaineering, dogsledging etcetera and recreation in general. 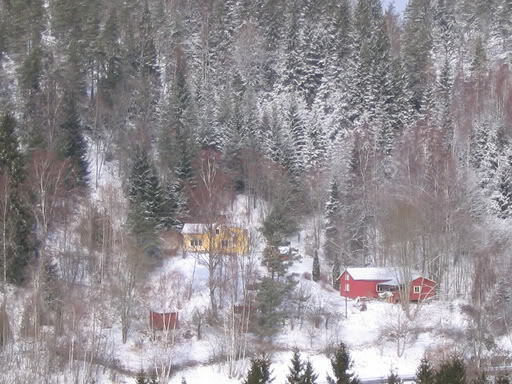 Every family own at least one holidayhouse somewhere in the vast forests or mountains. 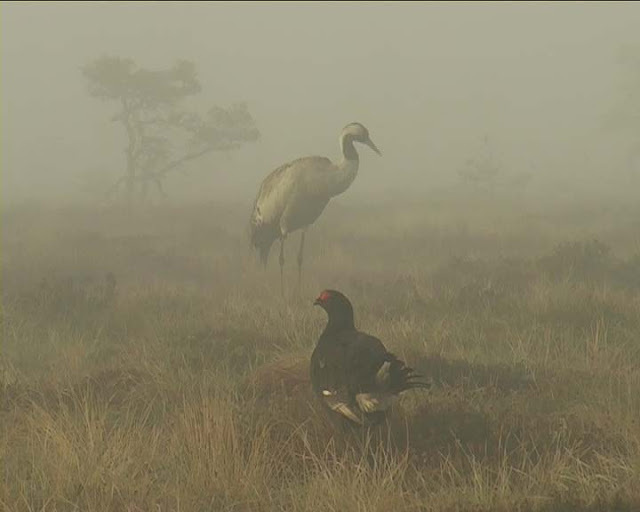 Like a sheepfarmersorganisation in Värmland put it: "Large predatorpopulations bring a high conflictlevel and an unaccepted situation in connection to speciesprotection, farmingindustries, local communities and individuals. It is not only a conflict between companies and speciesprotectioninterests, it's about people's daily life. Quality of life connected with a safe use of nature is a basic principle, which many feel is aborted." Another group that is absolutely against the mere existence of wolves in the country is the hunterassociation "Svensk Jägarförbundet". They claim the loss of a number of huntingdogs to wolves, of which six cases last year where confirmed by scientists. They also mean that wolves pose a threat to the moose- and deerpopulation. However not all of these allegations can be supported by prove. It seems that the present number of wolves take out about 1100 moose each year, while hunters themselves kill some 100.000 of a metapopulation of 400.000, during the huntingseason alone. Acceptance and disapproval of the comeback of wolves is a strongly debated subject in the country, with supporters of both often to be found in one family. There is no doubt that this subject is as much of a conflict among people in Sweden as for exemple the question whether to be in or out of the European Union. Since autumn 1977 when "Naturvardsverket" started to track and radiocollar wolves in the country until March 2000 it is proved that 40 wild wolves have been killed illegally. 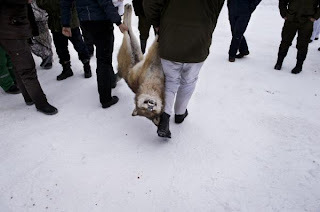 Another 6 wolves have been shot by the authorities becuase of predation on livestock. Poisoned baith has been proven a number of times to have killed wolves. The latest tactics of some people opposed to wolves are to track down radiocollared wolves with radiotracking devices freely obtainable in shops and shoot them, this in spite of the risk of high fines and even from 6 months up to 4 years imprisonment. Because of this problem all wolfcollars in use right now are being exchanged by GPS satellite transmitters. Solutions and Compensations Much has been done to eliminate the impact and conflicts wolves generate. A compensation was given to predatorcaused injuries and deaths in cattle from 1991 on. It was possible to claim compensation after an attack of for exemple wolves, after which the (dead or injured) livestock where researched and the situation evaluated. Even animals that dissapeared after the attack where compensated. In May 1995 the government changed the rules for compensation of damage caused by predators to other livestock then reindeer. After this date it was only possible to get compensation for the animals that where not able to get an insurance for. In practice this ment that only reindeerowners where able to claim compensation. Not even allowences for damageavoiding measurements where given. In the last budgetyear under the former rules the compensation of wolfdamage consisted about Euro5000 . A number of 13 killed livestock. In 1997 insurancecompanies denied insurance of livestock and the situation was the same again. In 1998 it was possible to get compensation for dogs killed (E1000) or injured (E200) by predators. In 1998 one dogowner was compensated, in 1999 twelve, all dogs killed by wolves. In reindeerfarmingareas compensationnumbers are higher. From 1991-1995 some 458 individuals where killed by wolves. The increasing number of wolves is the cause of a doubly amount of predatorcaused damage to livestock in one year. E110.000 were given in compensation in 2002 compared to E60.000 the year before. It is clear that some farmers have problems with predators and wolves in particular. Today every provincial government has its own responsability and receives a certain federal amount for compensation of local predatorydamage. This damage will be avoided as much as possible by use of non-lethal predatorcontrol methods. Livestocklosses will only be compensated when these techniques are being used. Non-lethal predator control is, due to the only very recent appearence of the wolf, not very well developed in Scandinavia. Compared to countries like the United States and especially Romania and Italy with a history on this field for hundreds of years, much research has to be done. In Italy and Romania a great deal of succes has been obtained in avoiding predatorconflicts with the use of livestockguardingdogs and herding sheepflocks with sheperds. In the USA removing of problemwolves from the area to a place with lesser conflictchances is used frequently. Also deterring predators from cattle with strobe- and sounddevises is a relative succes. Electric fencing around livestockpastures is an often used technique. The latter one is so far the only non-lethal method used in Sweden. The use of guarding dogs is regarded to be too expensive and the other possibilities have not been tried yet. Another predatorcontrolmethod, a lethal one that is, is simply a take out of the wolf concerned. The individual that is responsible for a third(!) attack on livestock will be shot by a huntingparty chosen by the authorities. Farmers present at the attack of a wolf on lifestock is, only in this case, allowed to shoot the animal. In 2001 a proposition on the number of predators was accepted by the government. Concerning wolves the preliminary goal was a number of 200 individuals, after which an evaluation was to take place resulting in a new goal for the future. The government decided that wolves where allowed to reoccupy areas in the south and the middle of the country that where "abandoned" since the nineteenth century. In the north was it eminent that the wolfpopulation was not to pose a threat to the local reindeercattleindustry. By means of "Naturvardsverket" the government contributes to increase the knowledge about predators by financing and implementing evaluation, research and education. Education in this perspective is provided on schools, but also in particular predatorinformation- and educationcenters. In 1998 a wolfresearchproject started at Grimsö researchcenter, which includes marking and radiocollaring of individuals to obtain an image of the settling and dispersion activities of wolves. This project evolved in an international cooperationdivision with Norway, called Skandulv. This division provides information of wolfpresence to hunters and small economic entities such as for exemple farms. Sweden is in the middle of an event that touches virtually the entire society. It can be seen as an enormous task to be able to get all different interests in a balanse. Allthough it will probably be impossible to avoid all conflicts between wolves on the one side and especially hunters and farmers on the other it is clear that the authorities do everything they can to minimize them, and provide a sustainable environment for people and wildlife. The new rightwing government decided to establish a new predatorpolicy in 2009 and emphasise culling in stead of coping conflicts with help of non-lethal methods. Decisions regarding conflicts and hunting of redlisted predators became step by step more local in stead of national. This resulted in Sweden's first licensed masswolfhunt since decades in the winter of 2010. A second hunt took place in 2011. 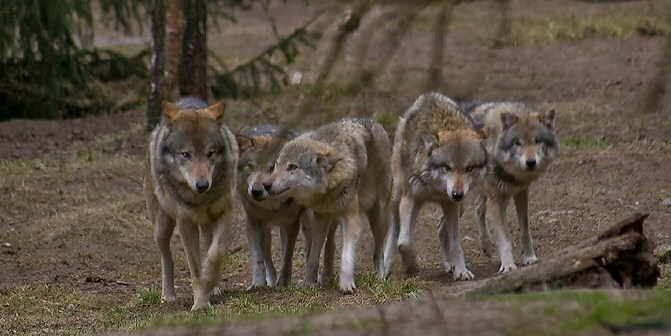 Sweden's wolfpolicy collided with international laws and directives and was condemned by the EU.